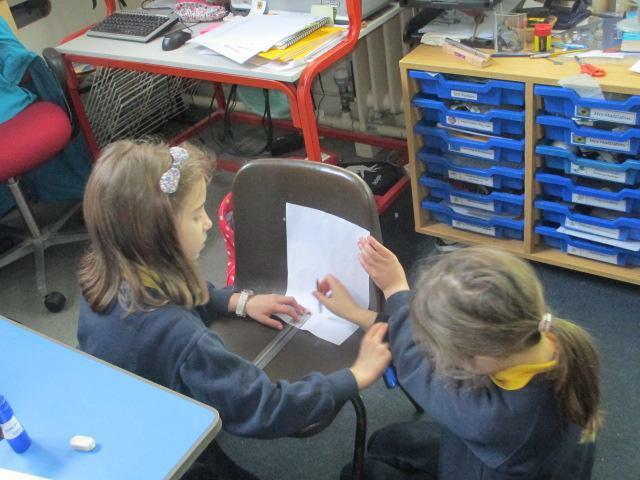 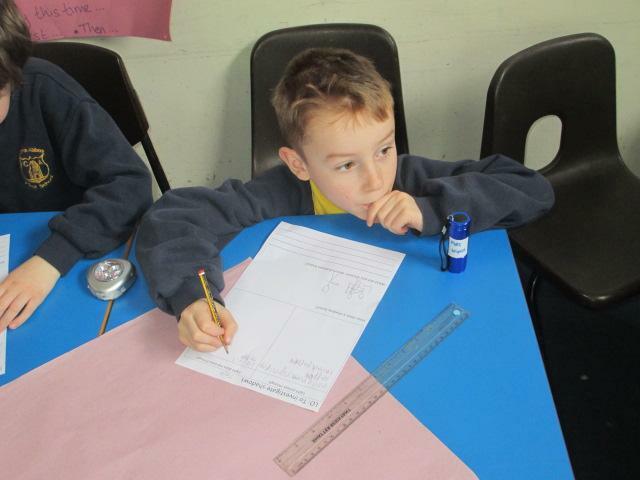 This week the children have been starting to plan their own Science Fiction stories, and are beginning to write them. 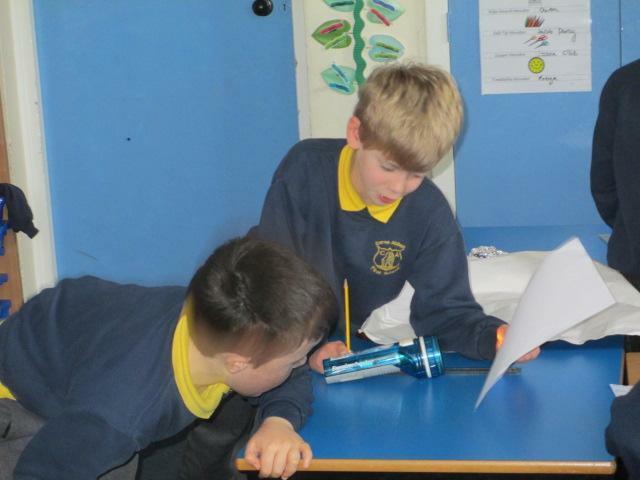 We have all imagined, drawn and described an alien that we are going to have an encounter with, whether that be on their planet or ours!.... 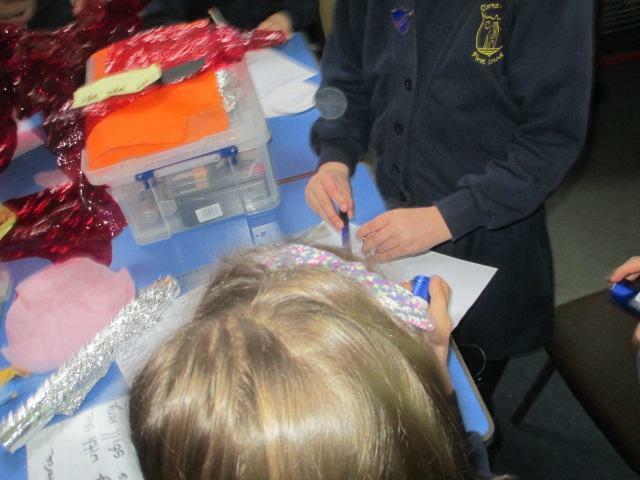 We look forward to finishing our stories next week!!! 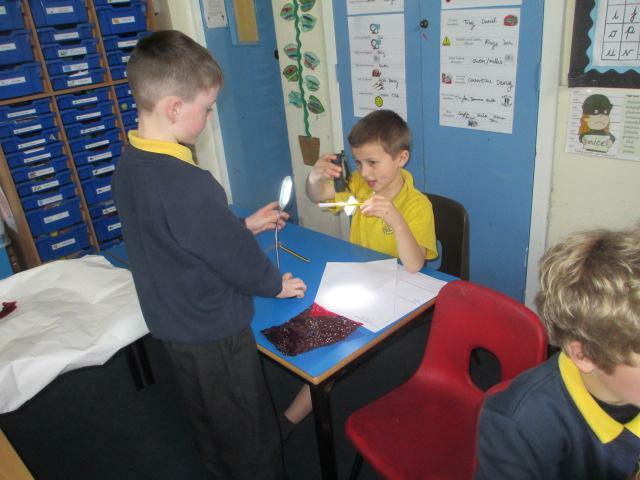 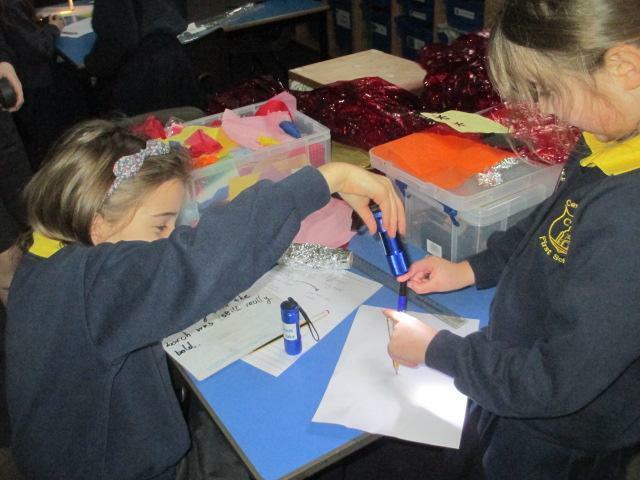 In Science the children have been investigating shadows,how to make them lighter/darker, and change shape. 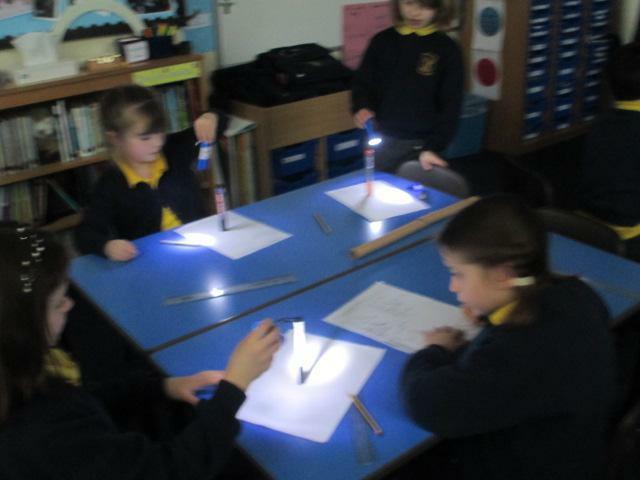 We then looked at how our shadows change shape with the sun. 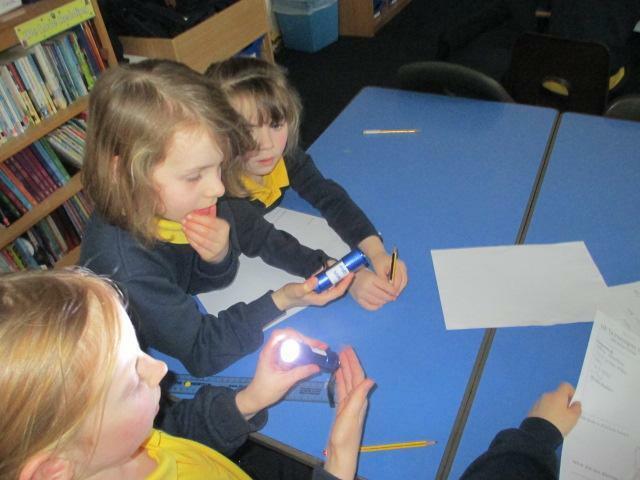 We hope to complete a shadow investigation outside as soon as the sun is shining!! 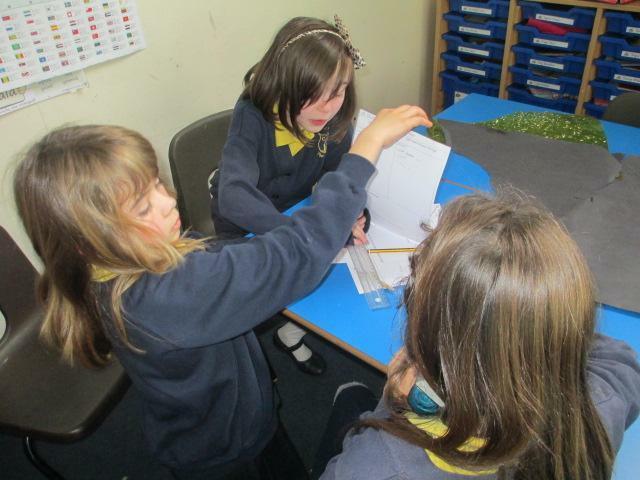 Some really considerate and co-operative learning this week.